51 Results matching titles words. 52 Results matching product descriptions. 56 Results matching title or description. The 1 x 8 UHD 4K HDMI Splitter is an advanced solution for producing eight electronically equal UHD video/audio streams from one UHD video/audio source, all for connection to eight HDTV's. The HDMI Splitter 1 In 4 Out is a high performance device that allows a single HDMI source to be split into four separate and identical buffered HDMI outputs for multi-viewing purposes. 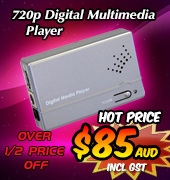 Supports a wide range of PC and HDTV resolutions from VGA to UXGA and 480i/p to 1080i/p. The HDMI and HDBaseT Splitter Repeater functions as an HDMI Splitter and as an HDBaseT Repeater, giving the ability to "drop-off" an HDMI video and audio signal along a distance of up to 60m. New release 1x4 HDMI Splitter over HDMI and CAT5e/6/7 Cable with 24v PoC splits and distributes a single HDMI video and audio signal, plus 2-way IR control, into three CAT5e/6/7 outputs and an HDMI by-pass output. HDMI Splitter-Extender 1 input - 4 output allows an HDMI device to be connected to up to four HDTV displays simultaneously without signal loss. The result is identical High Definition Digital HDMI Video and Audio reproduced on all of the connected HDTV displays. The HDMI and HDBaseT Splitter Repeater with LAN functions as an HDMI Splitter and HDBaseT Repeater, giving the ability to "drop-off" an HDMI video and audio signal along a distance of up to 100m and with LAN serving. The USB/Ethernet to HDMI Splitter/Converter allows the user to display PC source content on up to 4 HDMI screens/monitors in an extended desktop mode via the extender's USB or Ethernet inputs. This HDMI v1.4 1x8 Splitter with Individual CEC is a high performance One Input / Eight Output HDMI Splitter with support for 3D and individual CEC control functions. 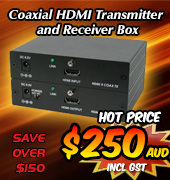 One of the outputs also supports cutting-edge Audio Return Channel (ARC) and HDMI Ethernet Channel (HEC). 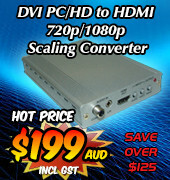 HDMI Splitter - 2 input : 10 output allows one of two HDMI input sources to be displayed to ten High Definition TV's. It supports all HDMI compliant devices such as DVD players, Set-Top Boxes and Gaming Consoles, and is ideal for use in Home Theatres and Professional fields. New generation 1 Input 2 Output 4K2K HDMI 6G Splitter is an advanced solution for splitting and distributing a single HDMI signal simultaneously to 2, 4, 8 or 10 HDMI outputs. Apart from providing support for UHD video, up to 4K2K@60Hz (YUV444) resolution, it also supports audio pass-through of high resolution digital formats such as LPCM7.1CH, Dolby TrueHD, Dolby Digital Plus, DTS-HD Master Audio and Dolby Atmos with sampling rates up to 192kHz.